At Ulyampiti village on 6th October 2018, OVCT is providing clothes to orphans and vulnerable children. 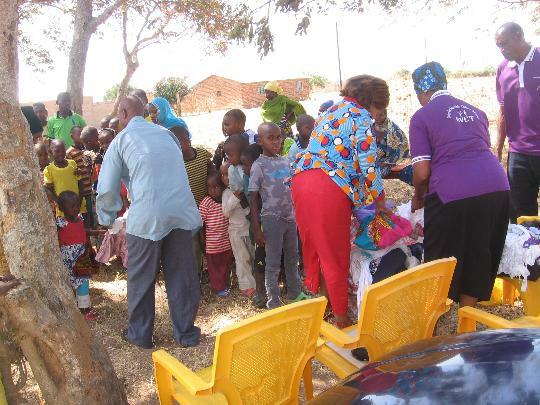 About 98 children were provided with clothes apart of their caregivers. OVCT in providing clothes to the orphans and vulnerable children in the villages, we never forget to offer our hearty thanks to the Singida Regional Community Welfare Officer, Sisiter Shukrani Mbago, for what she has being doing in making sure that she has put her hand forward in getting the clothes for the orphans and vulnerable children. Along with that thanks, Sister Teda Sinde also is one of the people who collaborate in making sure that children get clothes.